Alongside the Women’s Commission Health Task Group, Bristol Women’s Voice is an advocate for the health of women and girls in our city. We are raising the profile of women’s specific health issues and believe a gendered approach to all aspects of health must be taken by our city’s leaders. We are currently focusing on mental health and well-being and running a series of sessions with women and girls around the city. Our women’s health sessions involve community groups and provide an opportunity for women to voice their concerns and learn more about their individual needs. 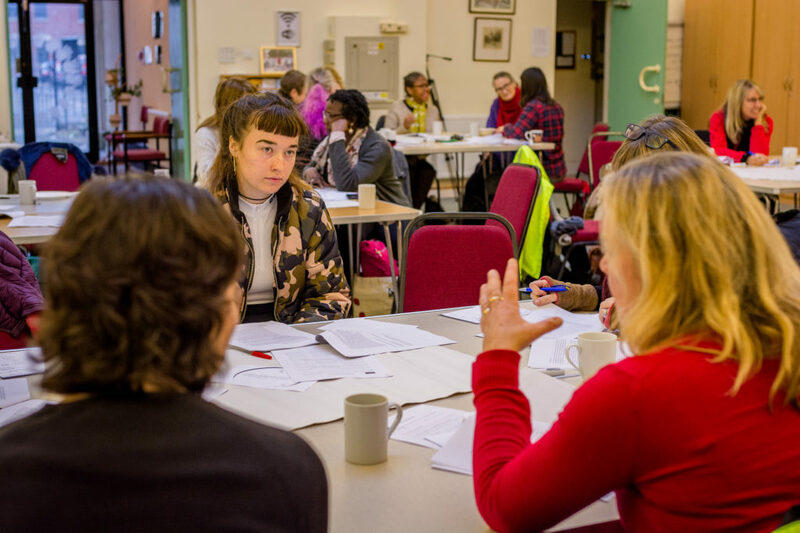 Bristol Women’s Voice also links women to organisations that can best support them. We recently ran a Health and Wellbeing Survey asking you to tell us about your experiences and needs. The most common health issues raised were mental, sexual, reproductive and maternal health, and menopause. A number of you also pointed to the fact that sexual violence and intimate partner violence impact on women’s mental as well as physical health. Issues around body image, fitness and obesity also came up, as well as drug and alcohol misuse, and health issues specific to trans women. Many of you asked us to “raise awareness”, to help dispel the stigma around women’s health by using our platform to talk about it loudly, and to create events and spaces for women to come together to talk about the issues affecting them. So many of you called for work to be done around menopause (including women who have not yet reached menopausal age) that we have decided to focus some energy here. We are teaming up with other women working in this area and aim to set up / help link you to some peer support groups across the city, as well as put together an information pack which is available here.